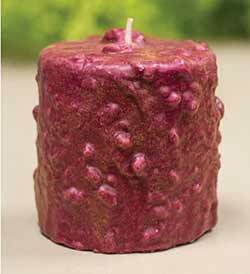 Cake Candles are a fabulous, highly-fragranced decorative candle available in a variety of rich cake flavor inspired scents. Made from scratch, they have a textured finish not unlike that of a nutty, ripply, iced cake! 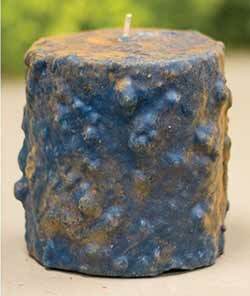 This is by far one of the best pillar candles we've found - when properly cared for, they burn cleanly and evenly, lasting a minimum of 100 hours each! They'll fill your house with the delicious fragrance of sweets and spices, infusing your home with warmth and comfort. 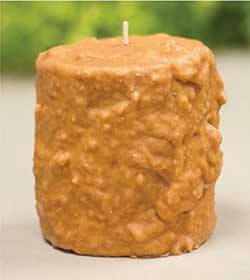 As an added extra bonus, each candle comes with a recipe for the cake flavor that matches the candle scent!